Originally posted here on March 6, 2015. 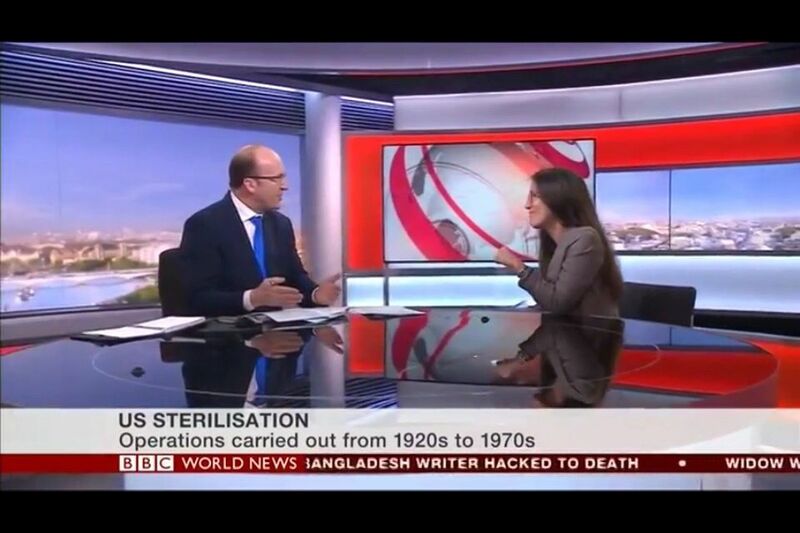 Dr Silvia Camporesi was interviewed by David Eades of the BBC World News on February 27, 2015 to comment on the BBC story on the eugenics victims in the US who had been forcibly sterilised during the state of Virginia’s eugenics programme. More than 8,000 Virginians were operated on between the 1920s and 1970s. When asked by David whether we should be worried about eugenics programmes today, Silvia argued that while we often hear about the ‘resurgence’ of eugenics in the context of the selection of children’s traits with genetic technologies, we should be careful when we draw this comparison. The negative connotation we have of eugenics today is something that we have acquired relatively recently, in the aftermath of WWII. When the term eugenics was invented by Francis Galton in 1883, it did not have a negative connotation; quite on the contrary, it was considered a duty of society to pursue the selection of “good genes”, both with negative measures (such as sterilisation laws) and with positive measures (such as support for young families). We now think, in the Western world at least, that people have a right to ‘reproductive freedom’ which includes when and with whom to reproduce, but this was not the case with classical eugenics when reproductive decisions were considered a legitimate sphere of intervention of the state. Silvia argued that the use of eugenics as a word mobilises anxieties in the public, and can mask real ethical issues that we have with selection, which are different from those of the past. The video clip of the interview is available online.